The Ceety o Makati (pronoonced /məˈkɑːtɪ/ mə-KAH-tee; Filipino: Makati) is ane o the 16 ceeties that mak up Metro Manila, ane o the maist populous metropolitan auries in the warld. Makati is the financial centre o the Philippines an ane o the major financial, commercial an economic hubs in Asie. As the host o various embassies, it is an' a' an important centre for internaitional affairs. 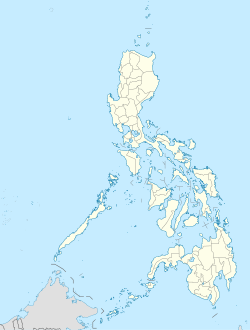 Wi a population o 510,383, Makati is the 16t lairgest ceety in the kintra an ranked as the 40t maist densely populatit ceety in the warld wi 18,654 indwallers per km2. Makati wis foondit bi Spaniard Miguel López de Legazpi, who dismissed Makati as a wirthless swamp. Accordin tae folklore, Legazpi asked for the name o the place but, acause o the leid barrier, wis misinterpretit bi the natives. Pointin tae the recedin tide o Pasig River, the natives answered, “Makati, kumakati na,” literally meanin ebbin tide. Makati became the financial centre o the Philippines durin the 1950s. Mony districts an laundmerks in the ceety hae acome well kent tae ootsiders. Makati haes been iconified as the "Financial Caipital o the Philippines". Anchored bi Ayala Avenue, Makati is the financial caipital o the Philippines an is the hame o the Philippine Stock Exchynge an the Makati Business Club, ane o the maist important economic hubs in the Philippines. Warld-cless research varsities are locatit in the ceety. Makati is deevided intae 33 barangay. Makati's sister ceety is Los Angeles, Californie. Makati is twinned wi Ramapo, New York an Vladivostok, Roushie an aw. ↑ "Province: NCR, FOURTH DISTRICT". PSGC Interactive. Makati City, Philippines: National Statistical Coordination Board. Retrieved 30 November 2012. Wikimedia Commons haes media relatit tae Makati City.